Late last month KUKA made a public offer to Swisslog shareholders to purchase their shares at 8.9% above the market price. Swisslog’s Board of Directors have recommended that the offer be accepted. KUKA, one of the Big Four global robot makers, stated that the purchase price would be $357 million and that the transaction would be completed mid-December. KUKA also said that Swisslog’s brand and facilities would not be affected by the transaction. This is the 2nd major acquisition by KUKA this year. Earlier they acquired global systems integrator Reis Robotics. The Swisslog acquisition adds a mobility arm to KUKA’s arsenal of products, a strategic move that many old-line robot manufacturers are choosing to make, e.g. : Adept when they acquired Mobile Robots. Swisslog has two distinct robotics-related activities: healthcare solutions and warehouse and distribution solutions. No mention was made of Swisslog’s thriving pneumatic tube business. 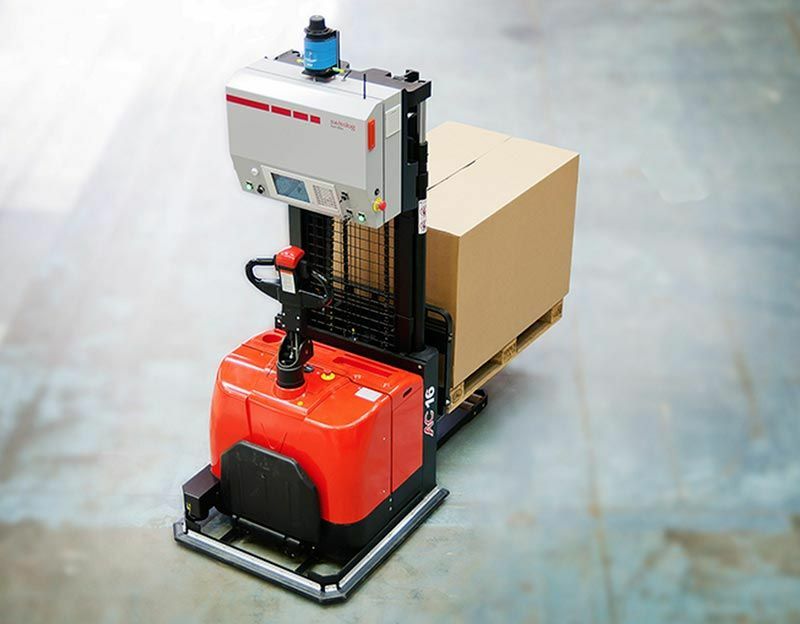 Swisslog manufacturers some of their own material handling mobility devices but also purchases, upgrades and rebrands others from Adept Technologies (their RoboCourier) and JBT’s (John Bean Technology) AGV. There is also a 3rd party involved in the KUKA-Swisslog acquisition: Grenzebach Corp., a family-owned German conglomerate manufacturer that, up until this transaction, owned 30% of KUKA and also 30% of Swisslog. Grenzebach has let it be known that they wanted KUKA to use their new capital (from recent stock issues and increasing stock prices) to consolidate logistics with Swisslog thereby creating a stronger logistics division within the KUKA family. Grenzebach launched a mobile material moving product in 2013 and has been showing it at trade shows (I saw it at AUTOMATICA early this year). KUKA has a mobile bot of its own but it’s more a work-in-progress than those offered by Swisslog and Grenzebach. Consequently one might ask whether there will be a consolidation of KUKA, Grenzebach and Swisslog mobility R&D and products? And will there be a mobile manipulator robot in the near-term future using KUKA’s new lightweight iiwa arm and Swisslog’s and Grenzebach’s consolidated mobile platform?